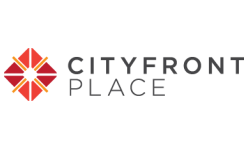 Clean, enjoyabtle, great location, fantastic amenitiessubmitted by Jody K. - Aug 22, 2014 |Recommended: YesIt is extremely nice living at Cityfront Place! Being from Florida living on the water is amazing! We are in love with our new home. submitted by Nicole L. - Aug 10, 2014 |Recommended: YesLiving at Cityfront Place is luxurious! The staff is excellent, the amenties unbeatable, and the view incredible. This is our perfect home!!! A wonderful place to livesubmitted by Micaela C. - Dec 08, 2013 |Recommended: YesCityfront Place has great amenities and a friendly staff. The neighborhood is a great location in the downtown area! Great place to live. Friendly/Helpful staff.submitted by Kyle L. - Dec 02, 2013 |Recommended: YesVery clean/nice place to live with great amenities, fun community outings, and a friendly/helpful staff. I love living here! !submitted by Angela L. - Mar 05, 2013 |Recommended: YesIt is a great place, and for someone that moved from Florida being able to see the water is great! I think it's a great place to live.submitted by Charis R. - Jan 29, 2013 |Recommended: YesIt's perfectly located and has everything I need. It's a wonderful place to live!submitted by Crystal C. - Dec 02, 2012 |Recommended: YesConviently located in Streeterville, close to the water. So far so goodsubmitted by Pao C. - Nov 29, 2012 |Recommended: YesThe staff is wonderful and the service is quick and high quality. Perfect sized apartments in a great location.submitted by Kathryn E. - Nov 26, 2012 |Recommended: YesI love the size of my apartment. It is perfect for just me and I don't feel like I am paying for unused space. Living an active lifestyle, I love living in such close proximity to the lake and the lakefront path. For the most part, I enjoy living here. The doorstaff and maintenance are wonderful and cannot say enough good things about them. Areas of improvement: communication to residents regarding construction, closures, inconveniences, events, etc. This seems to be lacking much of the time. I love living here, everyone is awesome.submitted by Angela L. - Nov 02, 2012 |Recommended: YesI love it, the place is in a great location. Great place to call home and excellent property management staffsubmitted by Lynee Y. - Nov 01, 2012 |Recommended: Yesclean, safe, convenient to my work and all that downtown Chicago has to offer. Staff is extremely customer-focused, remembers residents by name and are always cordial, professional.